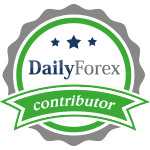 I have completed my overview of forex trades which I recommended between September 20th and October 31st. I had a total of fourteen trading recommendations which I published 100% free of charge and I always update you all on every trade regardless if I earned money on it or if I lost money on it. In my previous trading updates I showed you how I earned 10,645 pips from 68 trading recommendations for 2014. My total profits for 2014 rose to 11,875 pips on 84 recommended forex trades. I operate this forex portfolio over at PaxForex and their tight spreads and execution speed allow me to earn more each time I trade. Thank you John for the review. I have been waiting for the next trading overview for the month November 2014. Hope to read it soon from you.